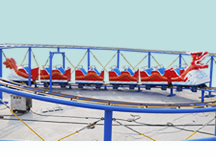 Spinning roller coaster is one type of coaster rides. 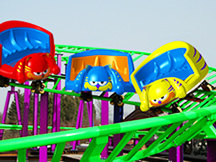 The remarkable character the ride is each individual car will involve in the movement of diverse spinning during its motion, which enrich the action of slide in the course of motion. Patrons will enjoy perfect mixture of uniqueness and amusement. 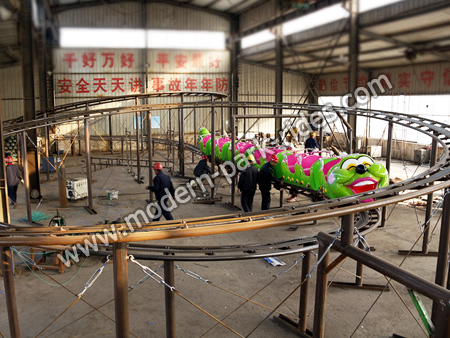 This roller coaster ride is widely used for large and medium-sized amusement parks. 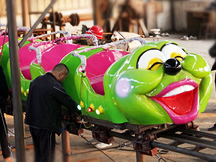 Spinning roller coaster adopts Chain-Lift structure. Cars spin on their own centrifugal forces so it can rotate in different kinds of stances. The track is made of seamless steel tube. 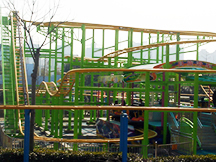 This Coaster rides adopts pneumatic brake system and all the cars are controlled by distance-limit devices to avoid collision.